project, including a series of case studies which saw the designers support the development of Biophotovoltaic technology, polymer-wood composites, multistable materials, medical and laboratory equipment, structural coloured polymers and stem cell research. The Design in Science project involved bringing professional industrial designers into the science base at Cambridge University to work on live research projects between 2009 and 2011. The aim of the study was to explore ways in which designers might be able to support the commercialisation of early stage science, and to understand what factors might influence collaboration between designers and scientists. We articulated three main design contributions to scientific research, namely supporting the commercialisation of new technology, steering the research direction and assisting with the communication of science. The study suggested that design contributions to research are best specified according to the objectives of scientists. We also developed a framework which allowed us to investigate the roles of different artefacts in the scientific research process. 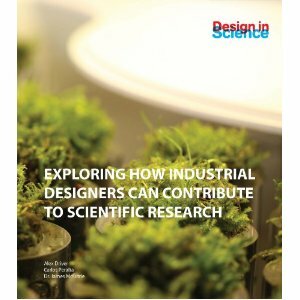 This book is aimed primarily at designers and scientists in the hope that it will increase visibility between the two disciplines and inspire future collaboration. The Design in Science project was initiated and led by Doctor James Moultrie, a senior lecturer in Cambridge University s Institute for Manufacturing and head of the Design Management Group. James is a Chartered Mechanical Engineer and has many years industrial experience as a project manager, senior engineer and marketing product manager. Alex Driver is an industrial designer and mechanical engineer. He worked in consultancy for three years prior to taking up a post as a researcher at Cambridge. Carlos Peralta is a product designer with over twenty years of experience in design education and consultancy in Colombia, England, Singapore and Spain. The Design in Science project formed the basis of his PhD.